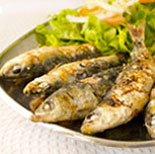 Mackerel is a saltwater fish, prized for its meat. It belongs to the family of tuna. 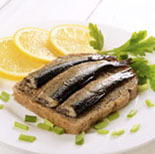 It is rich in B vitamins and vitamin D, as well as in several minerals such as selenium, iron and iodine. This fish is also obviously a great source of omega-3 fatty acids. 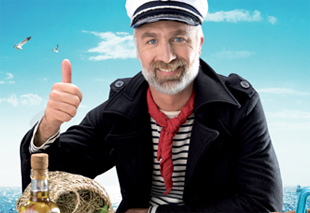 Fish and shellfish are a natural source of « long chain » Omega 3 fatty acids. Fish and shellfish have an interesting lipid composition with a good balance between saturated and unsaturated fatty acids. The polyunsaturated fatty acids of the Omega-3 family are one of the many health benefits of aquatic products in which they are present in large quantities. For example, the consumption of a portion of mackerel or salmon covers all the recommended daily nutritional intakes by providing more than 2g of omega 3 fatty acids. These contributions are all the more interesting that Omega 3 fatty acids of aquatic origin have the form of long chain fatty acids (C> 20 EPA and DHA) that humans cannot synthesize. The physiological roles of these omega 3 fatty acids (EPA and DHA), which are the source of their benefits are numerous : a structural role in the forming membranes particularly in the brain and retina, a functional role because they are chemical mediators of precursors with important roles for health (for example in the field of inflammation and platelet aggregation). A deficiency in omega 3 fatty acids (with or without an excess of omega 6) promote the onset of neurodegenerative diseases (Alzheimer’s disease) depression, age-related macular degeneration... Omega 3 fatty acids could play a favorable role in the prevention of certain cancers. A regular intake of EPA and DHA through the consumption of aquatic products reduce the risk of cardiovascular disease and sudden death. 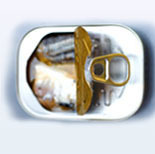 The fat content of tuna varies depending on the species. 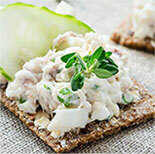 Indeed, pale or white tuna is low in fat, while the blue fin tuna is considered a fatty fish. 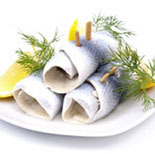 Fats, particularly omega-3 fatty acids from fatty fish, confer undeniable health benefits. Scientific literature abounds on the subject and the impact of the consumption of fatty fish on reducing the risk of cardiovascular disease is now unanimity among researchers. Studies have also revealed that people who consume more fish were less subject to depression and had a lower risk of suffering from the disease of Alzheimer. Finally, other studies have found a link between consumption of fatty fish and reduced incidence of arthritis. The American Heart Association (AHA) recommends that healthy adults eat at least two fish meals per week, mainly fatty fish such as tuna, to enjoy their health effects.